Mallikarjun Kharge's remark came hours after HD Kumaraswamy said that he was not happy while heading a coalition government, and was swallowing the pain of it. Senior Congress leader Mallikarjun Kharge on Sunday advised Karnataka Chief Minister HD Kumaraswamy to have the courage to face the circumstances emerging due to the formation of a coalition government in the state. Mr Kharge's remark came hours after Mr Kumaraswamy said that he was not happy while heading a coalition government, and was swallowing the pain of it. "Running a coalition government is always a problem and all one can do is face them. Simply expressing would not give a good message to people who supported secular parties. Kumaraswamy should be courageous to face such circumstances. He has to fulfil the desire of the people," Mr Kharge told ANI. 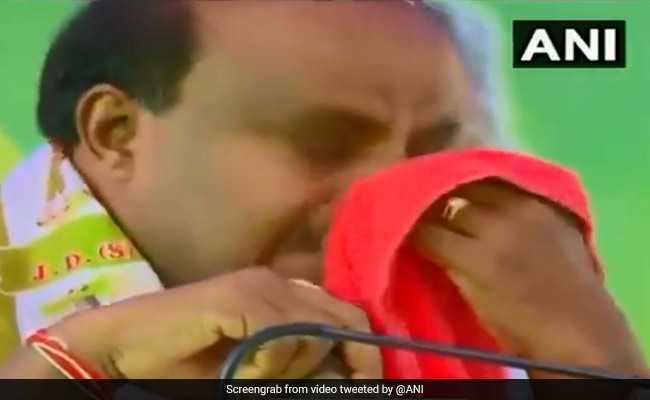 Addressing an event on Saturday, Mr Kumaraswamy claimed that he was swallowing the pain of a coalition government in Karnataka. "People are standing with bouquets to wish me, as one of their brothers became Chief Minister and they all are happy, but I'm not. I know the pain of coalition government. I became Vishkanth (Lord Shiva) and swallowed pain of this government," he said. Mr Kumaraswamy further said he wanted to become the Chief Minister of Karnataka to solve the problems of the people and fulfill the unfinished agenda of his father and former prime minister, HD Deve Gowda. After days of high-intensity political drama in the state, the Congress and the Janata Dal (Secular) had come together and managed to form the government in Karnataka. Soon after, Mr Kumaraswamy was sworn in as the chief minister of Karnataka, while Congress' G Parameshwara took charge as the deputy chief minister of the state.